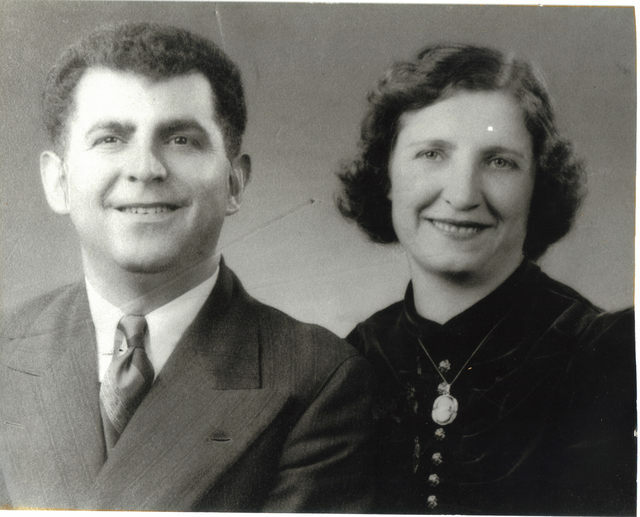 George K. and Alexandra Polena - benefactors of the church. In their will, they generously gifted to the church their home. The proceeds of the sale of their home helped secure our Trumbull location. 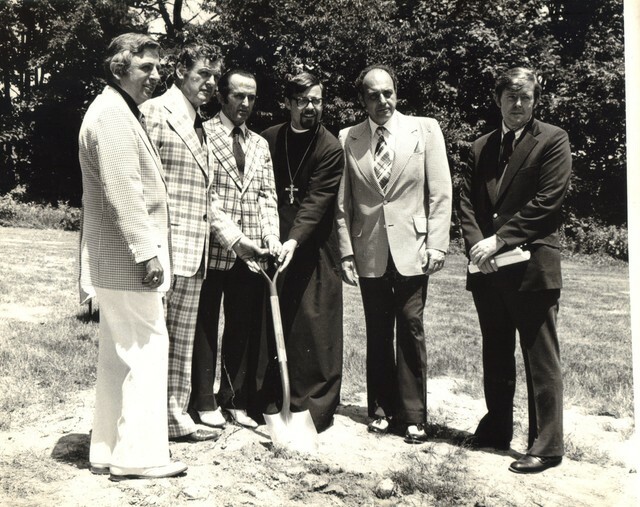 Ground breaking ceremony. St. George Albanian Church in Trumbull. 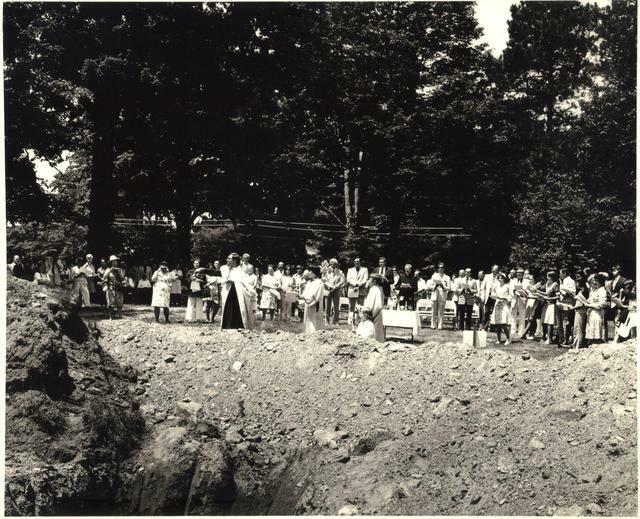 Date: June 22, 1975 (Pentecost Sunday). 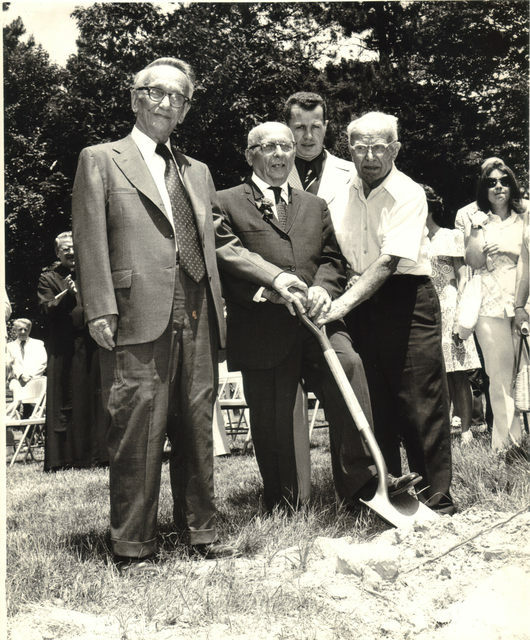 Front - Left to Right: George Polena, Constantine Jordhamo, Theodore Dionis. Members of the Building Committee participate in the ground breaking ceremonies for St George Albanian Orthodox Church in Trumbull. 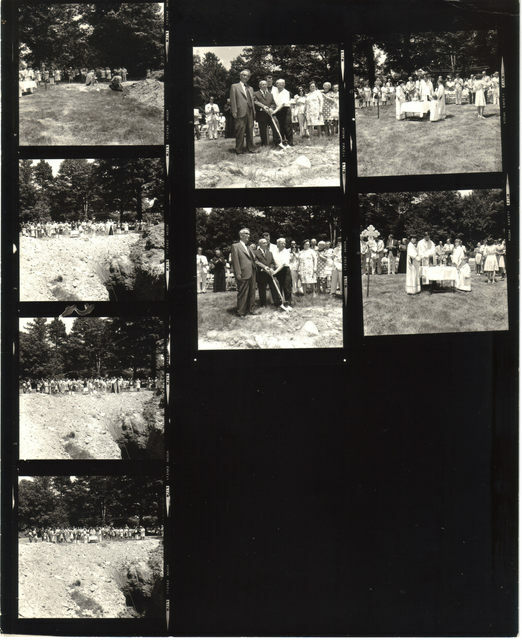 Date: June 22, 1975 (Pentecost Sunday). Left to right: Harry Jordhamo, Nicholas Adam, Ligor Buzi, Fr. Eugene Vansuch, John Liolin, Don Tait. 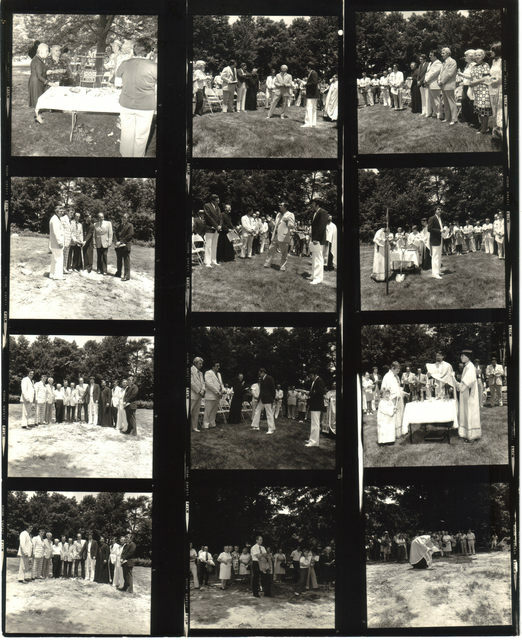 A contact sheet of miscellaneous photographs from the Ground breaking ceremony in Trumbull. Date: June 22, 1975. On-going progress review of the construction phase of the new church in Trumbull. Date unknown. 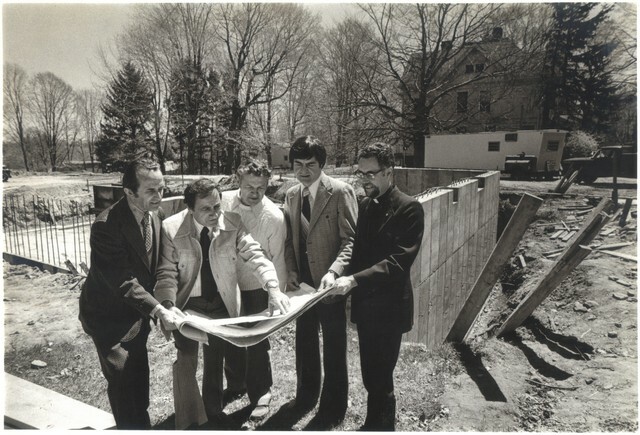 Left to Right: Ligor Buzi, Construction Manager Tony Salce, Nicholas Adam, Bill Kovachi, Fr. Daniel Montgomery. 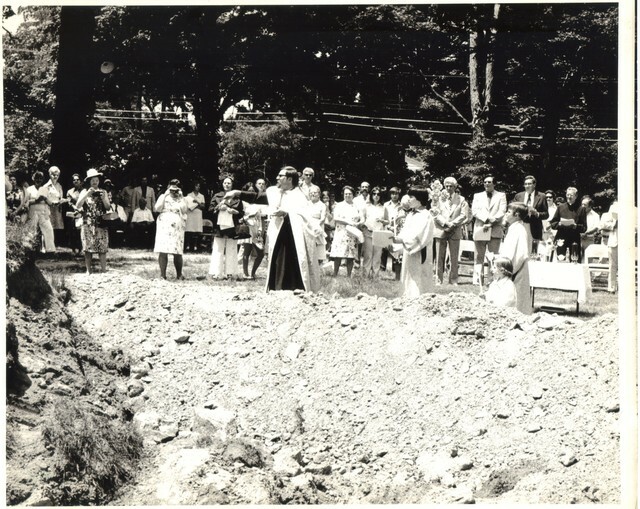 Dedication of the new church in Trumbull. Left to right: Fr. 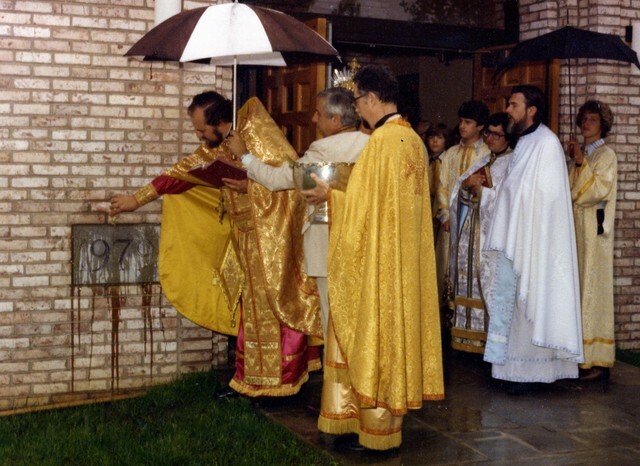 Arthur Liolin sprinkling the cornerstone, Fr. Daniel Mongomery, the parish priest (name unknown) from St. Dimitrie Orthodox Church in Bridgeport, and Fr. Mark Forsberg (far right). Notes: Fr. Arthur Liolin is the Chancellor of the Albanian Orthodox Archdiocese in America. Fr. Mark Forsberg was later consecrated bishop and led the Albanian Archdiocese until his retirement. Left to right: Fr. 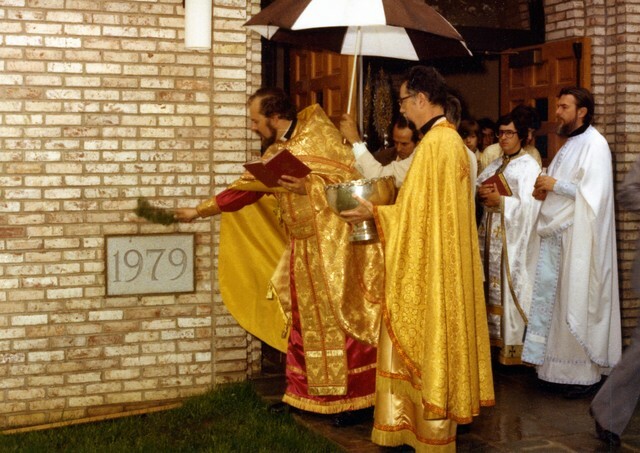 Arthur Liolin sprinkling the cornerstone, Fr. Daniel Mongomery, the parish priest (name unknown) from St. Dimitrie Orthodox Church in Bridgpeport, and Fr. Mark Forsberg (far right).